Dog People vs Cat People.. Dog Lovers vs Cat Lovers.. Dogs vs. Cats. Who's better? 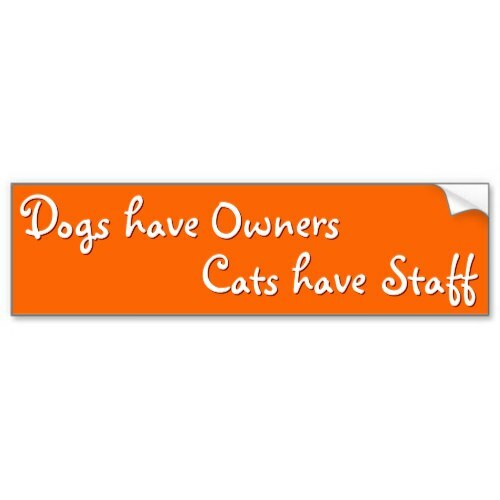 The age-old battle rages on with this funny, hilarious, fun orange bumper sticker, featuring an honest-to-god, true fact/quote on dog owners and cat staffers. 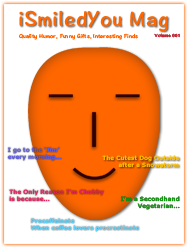 Makes a great, fun gift for dog people, dog owners, dog lovers, mom, dad, grandma, friends, family, ..the more the merrier (Go dog people! You ROCK! ), for birthday, mothers day, holidays, christmas, or any regular day. A durable vinyl, quality bumper sticker for your car - wagon - atv - muv - suv - truck - trailer - vehicle.